Welcome! In today’s episode, I get to chat with Nikki Elledge Brown, an awesome lady who created a multi 6-figure business in under 18 months….by helping entrepreneurs in the realm of communication. One of the first things that Nikki had to let go of in her pursuit of a successful business was the craving for perfection. She had to learn to truly embrace the phrase that if it’s really good, it’s good enough. Now, that doesn’t mean letting go of quality; it simply means that you’ve got to find that sweet spot where you feel great about your service, and your clients feel great about it as well. Nikki likes to take “first pancake approach” to coming up with the amazing services that she offers. For example, the first pancake you make might be a little too light or maybe it got burned – whatever happens, you quickly learn what you need to tweak for round 2. At AmbitionAlly, I use a similar concept: the spiral staircase. We can always improve things and come back with a new and improved version. Especially with websites, your work is never done; you’ll come back and make updates again and again. Like a spiral staircase, it might feel like you’re going in circles, but each trip around the spiral staircase does give you valuable experience and insight. Communicate your value to the people who need it in a smart, authentic way. When you merge clarity with authenticity, you truly begin to discover the magic of being an entrepreneur. When Nikki made these three steps, she had over 90 people who sign up to work with her one-on-one…in the first 6 weeks of her business. This happened because she learned to communicate her value. Entrepreneurs tend to really struggle with this. For example, because I could put a website up fairly quickly, I undervalued my services. To help solve the problem, I had to figure out what words my clients were using to describe the value of my work. When I learned to use their words and testimony of saving time, money, and other resources, I was able to start charging a fair, competitive price for the work I was doing. We absolutely love having Nikki Elledge Brown on the show to share her awesome wisdom and insight. If you’re ready for more amazing tools to take your business off the charts, check out the resources that we have to offer over at AmbitionAlly. 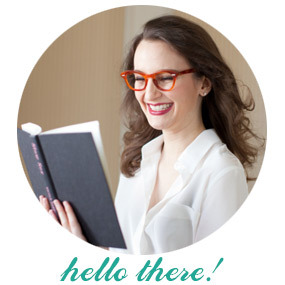 Nikki’s known online as The Communication Stylist® and creator of A Course About Copy®. She’s a proud military spouse, mom, former park ranger and college professor who built a multi-six-figure business in under 18 months by helping entrepreneurs like you and me communicate with more clarity and confidence. Awesome!! Absolutely loved it. Thanks Nathalie. I am a big believer in iterating and iterating and refining the process over and again as you get better. Right now I am doing a Youtube series and each one is better than the last in different aspects.